procedures; and to provide for matters connected therewith. Gauteng Liquor Act. other substances by whatever name they are known. “this Act” includes regulations made in terms hereof. Act or relating to the control over or distribution of liquor. (4) The Board shall perform such other functions as may be assigned to it in terms of this Act. affected parties or communities or as prescribed. Chairperson, and another member as the Deputy Chairperson of the Board. for reappointment at the lapse of the initial term. (2) No person shall be reappointed as a member of the Board for more than two (2) terms. the Board as the Member of Executive Council may determine. determination, shall be recorded in the minutes of the proceedings in question. (c) fails to disclose any interest contemplated in section 6(1). time determine for the expeditious conduct of its business. to be held at a time and place determined by him or her. suspension or revocation of a licence shall be taken at an extraordinary meeting. (4) The quorum for a meeting of the Board shall be a majority of its members. the members present shall from among themselves elect a person to preside at such meeting. were present at the time and entitled to sit as members. thereof against payment of the prescribed fees. which his or her presence is required and the relevant matter to be considered. represented by a person of his or her choice. Act to be notified of the meeting at which the report will be considered. which his or her presence is required. document or any other thing produced to it. before the High Court is entitled. matter which in its opinion may be a ground for an objection to the granting of the application. opportunity of stating his or her case in connection therewith. desirable at the relevant meeting, may not attend the meeting or shall leave the meeting. the power to set aside or amend any decision of the Board. effect except in so far as is set aside or amended by the Board at its next meeting. by the Board and to report on that matter to the Board. may from time to time dissolve or reconstitute such a committee. (3) Board shall appoint a member as the chairperson of such a committee. to assisting it in the exercise and performance of its powers, functions and duties. any decision taken by the Board. (2) A delegation under this section may at any time be revoked or withdrawn. be deemed to have been done by the Board, as the case may be. Executive Council, including fees paid in terms of this Act. Management Act, 1999 (Act 1 of 1999). required by the Public Finance Management Act, 1999 (Act 1 of 1999). municipalities in the Province, known as Metropolitan Councils and District Councils. (e) a secretary seconded to the local committee. a Chairperson and another as a Deputy-Chairperson. event of objections lodged against the granting of a particular licence. them to the Board immediately after consideration of the applications. of this Act or relating to the control over or the distribution of liquor. investigation the local committee thinks necessary. except by special leave granted at the discretion of the Board. and in the Provincial Gazette as well as causing the notice to be affixed at the premises. objections in terms of section 25.
thereof to both the local committee and the persons who lodged the objections. local committee or the Board may determine. (xiii) catering or occasional permits. (c) Any other licence that the Board, in its discretion will deem appropriate. (2) A licence indicates proof of payment of fees. or as may be prescribed from time to time. committee, and the local committee may grant or refuse the application concerned. or occasional permit for a period not longer than seven (7) consecutive days. principal business of the applicant, but incidental to the occasion held by the applicant. the premises which have been excluded by the local committee in terms of section 31(5). (c) approve an amended plan in respect of the premises. (3) The period determined under subsection (1), shall not be longer than twelve (12) months. concerned, it shall issue the licence in accordance with section 37.
the licence shall be deemed not to have been granted. satisfy the Board as to the matters contemplated in subsection (4). incompetent in terms of this Act to hold the licence concerned. (k) is not domiciled in the Republic. licence as the Board may in its discretion impose. the inspection and a search of licensed premises at all reasonable times by an inspector. this Act or any law. in paragraph (a) must be members of the Gauteng Liquor Traders Association. for the Liquor Trade Association. (d) any other matter ancillary thereto. by the Member of the Executive Council. activities during the preceding financial year. business of a producer or a manufacturer of beer. prescribed, granted consent that such a person may procure such an interest in that business. subject to the same obligations and liabilities as the licensee concerned. he or she is subject in law. business to which any other licence relates, or any trade or occupation is carried on or pursued. which there is no door, window or other aperture. unless the Board, on the recommendation of the local committee, determines otherwise. and regulations, including health and smoking laws. articles as the Board may authorise. on application by him or her, as prescribed and on such conditions as the Board may think fit. (1) A licensee shall not sell liquor at any place other than the licensed premises. determine, to carry on his or her business on only a part of the licensed premises. imprisonment without the option of a fine or a fine or both imprisonment and a fine. above the age of 18 years, to which the licence relates. restricted part of those premises. premises any person contemplated in subsection (1). (1) The holder of a licence shall keep the prescribed records in the prescribed manner. (b) withdraw or amend any direction contemplated in paragraph (a) . A licensee shall not sell or supply any illegal or counterfeit liquor. consumed on the licensed premises only. 02h00 in the morning of January 1, unless otherwise prescribed. bona fide hotel at which accommodation and meals are regularly supplied to guests. (2) A record of all lodgers shall be kept on the licensed premises at all times. on those premises and consuming the liquor at or immediately before or after the meal. bona fide restaurant at which meals are regularly supplied to guests. on the licensed premises and consuming the liquor at or immediately before or after the meal. or shown to the public. on any day during the prescribed times. (g) no profit from the sale of liquor by the club accrues to any individual. bona fide club in respect of which the requirements of this Act are being complied with. any day during the prescribed times. required to keep by virtue of this Act. be separated by means of walls and securable doors. acceptable standards, on the licensed premises. providing games defined in this Act. liquor on any day during the prescribed times. the liquor on the premises. the premises together with the provision of snacks or light meals. including betting, on the licensed premises. sell or supply liquor on any day during the prescribed times. for consumption on the licensed premises or off the licensed premises. licensed premises shall provide ordinary meals. sorghum beer on any day during the prescribed times. fide sports club on which public sports games or recreations are regularly held. games or recreations ground concerned. liquor be consumed on the licensed premises. consumed in the place for such supply determined under the applicable section. (c) deliver liquor to an address not given in that invoice. the holder of a licence or an exempted person. not the holder of a licence or an exempted person. deliver liquor on any day during the prescribed times. Board may in its discretion impose. (d) withdraw any approval granted under subsection (1). 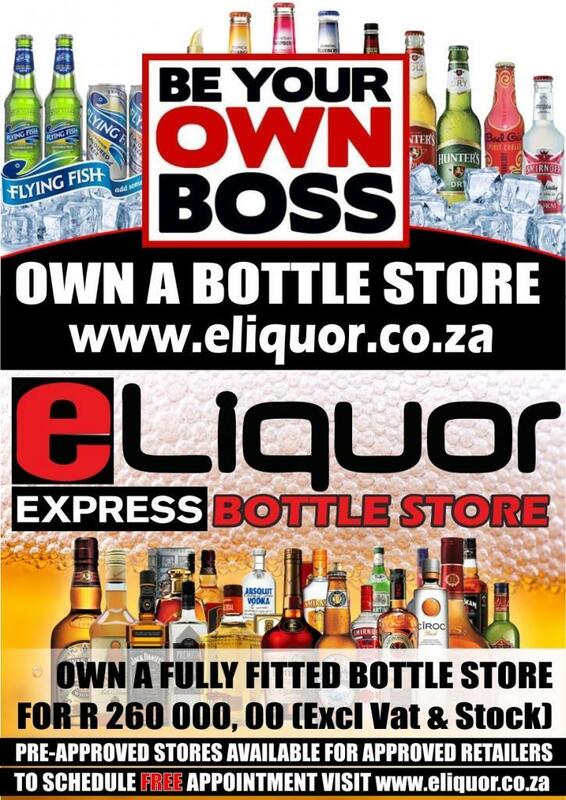 supply liquor to a person who is not the holder of a licence or an exempted person. as it may in its discretion impose. or deliver liquor on any day during the prescribed times. licence relates, except an employee contemplated in section 45(2), for consumption in that place. of more than five (5) litres. supply liquor on any day during the prescribed times. it may in its discretion impose. The holder of a grocer’s wine licence shall not sell liquor other than table wine. of more than five litres and which is not properly and securely sealed. receptacle, which has a capacity of more than five (5) litres. payment of an annual prescribed fee. (c) on a date otherwise determined by the Board. (2) A permit shall lapse on a date set by the Board on granting the permit. premises of that auctioneer, any liquor which was on those premises on that date. prescribed fees, or any part thereof, already paid in connection with the licence concerned. A permit issued in terms of this Act shall not be transferable to another person. prescribed fee and in the prescribed manner. transferee issued by South African Police Services and such other details as may be prescribed. monopolistic condition to arise or be aggravated in the liquor trade or a branch thereof. (7) The provisions of section 32 shall also apply in respect of prospective licence holders. condition of a licence or permit or a provision of this Act. such book, document or thing. discretion any book, document or thing produced. (1) The Board shall convene an inquiry for purposes of section 105. (2) The provisions of sections 10 and 11 shall apply in respect of proceedings in terms hereof. assisted by any person of his or her choice. (4) The Board shall keep a record of the proceedings of the hearing. such a nature that public interest requires the licence to be suspended without delay. (d) the licensee fails to pay a fine contemplated by the Board in subsection (2). term or condition of a licence or permit or a provision of this Act. (3) An order by the Board in terms of subsection (2) shall have the effect of a civil judgement. him or her shall appoint inspectors who will be an inspectorate. (2) An appointment in terms of subsection (1) may be general or specific. (3) An inspector shall be a public servant and shall be accountable to the Head of Department. (5) The MEC may prescribe the criteria and procedure for appointment of inspectors. application for a liquor licence. compliance of any liquor related matter. (g) do all things necessary for conducting the inspection. (b) return it as soon as practicable after achieving the purpose for which it was removed. (b) there is non-compliance with this Act. contemplated in sections 108, 109 and 110. (d) 90 days have passed since the date it was issued. section 113, for the purpose of determining whether that notice has been complied with. or window of the land or premises to be entered. entry or conduct an inspection in terms of section 108.
other person reasonably required to assist in conducting the inspection, or all of them. the request of the inspector. thereafter by that person shall be truthful and to the best of his or her ability. (c) the failure to answer a lawful question fully and satisfactorily. is reasonably required by an inspector to perform his or her functions effectively. owner or person apparently in control of the relevant land or premises. and shall be submitted to the Board. indicate that compliance and inform the board. necessary to close the premises or place concerned. requested from him or her. of the item seized and explain the reasons for the seizure to the said person. (3) The item seized shall, where practically possible, be preserved until the Board or a court of law has determined the matter. terms of this Act may be recovered from an applicant for a licence or a licensee. , (b) , or (c) . any notice issued under subsection (1) (c) . the granting of permits for the purchase or possession thereof. therewith prescribe a penalty which shall not exceed imprisonment for a period of six months. as the Board may in its discretion impose. (c) withdraw or amend the declaration. complaint or request in terms of this Act. the Board or any member thereof in the performance of his or her functions at the meeting. premises any receptacle containing liquor sold by him or her. belonging to that other category, as the case may be. proven, that money passed, that a transaction in the nature of a sale actually took place. proved, that the liquid was or is that concoction or drink. being kept or retained by it. is not likely to prejudice any person. make regulations for achieving the objects of this Act. period of twelve (12) months or both such fine and imprisonment. of persons or different areas. that date, shall be continued and disposed of as if that law still applies. reference to the Board as constituted in terms of this Act. commencement of this Act, shall remain valid. authorization, permit or licence under this Act. conditions and for the remaining duration of the original authorization, permit or licence. (6) The Member of the Executive Council may prescribe fees for a conversion. by the Premier by proclamation in the Provincial Gazette .